AFAIU, CALT calls the SPELDA-like adaptor "dual satellite connecting external support structure" (双星串联外支撑结构) could be abbreviated as "DSCESS"
I'm not sure about the translation of 串联 (chuanlian) - possibly "serial" as opposed to "parallel" ? 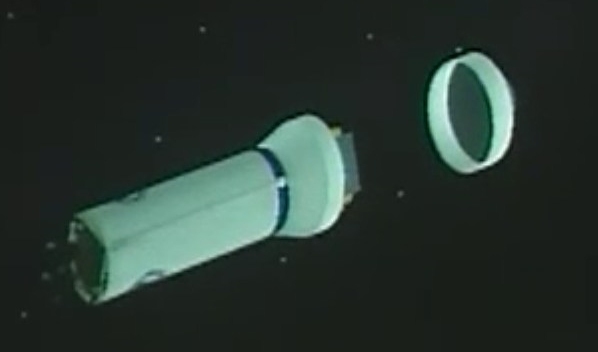 According to a report published on Beidou website, after 3 orbit changes on May 5 and 6 MEO3 and MEO4 entered their preset orbits and are working nominally. This illustration uses the strange definition of "de-orbit" which leaves the satellite still in orbit. "De-orbit" has always meant to bring out of orbit into the atmosphere, but this does not seem to apply to de-orbited GEO satellites. Maybe I am too old-fashioned and pedantic.